100 sheets per pad, 6 pads per pack. Brilliant for larger messages, reminders and notes. Post-it Notes are handy repositionable notes that can be stuck to most surfaces and removed cleanly. 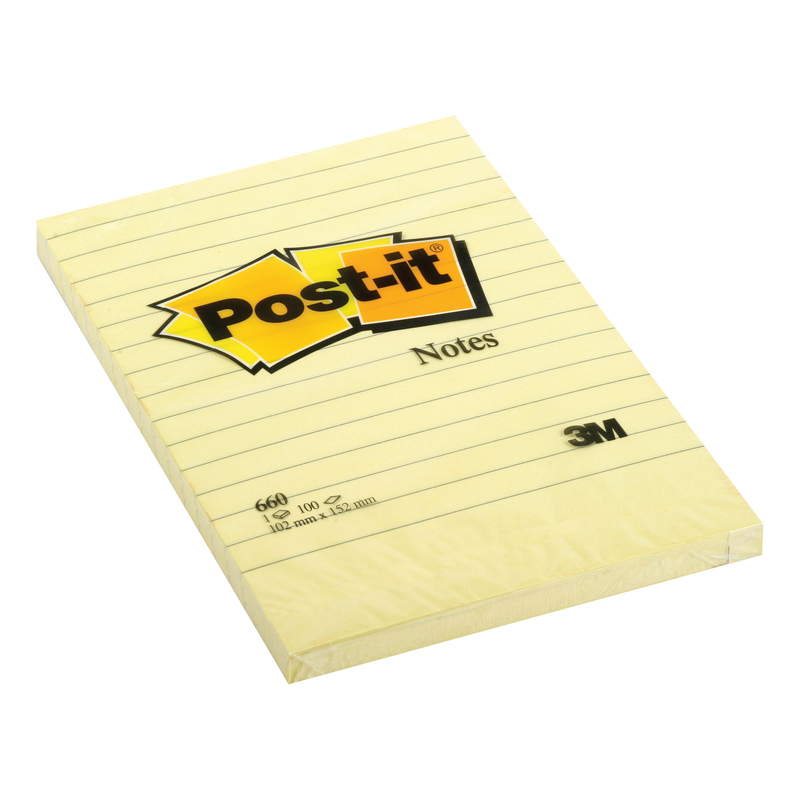 Post-it® Notes are handy repositionable notes that can be stuck to most surfaces and removed cleanly.